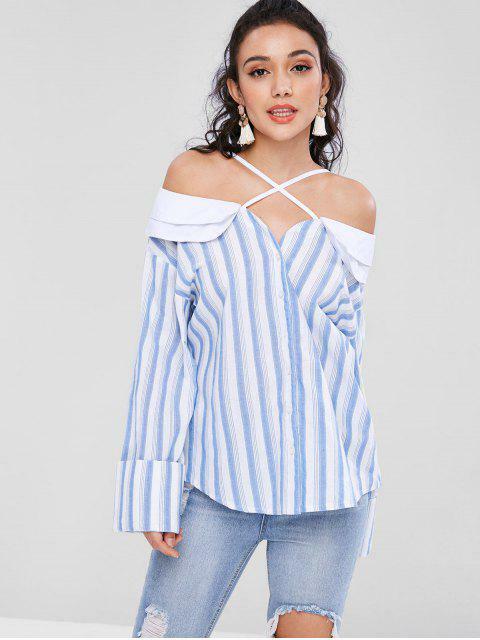 [25% OFF] 2019 Striped Cross Strap Casual Blouse In LIGHT SKY BLUE | ZAFUL ..
With slender cross straps to accent the pretty collarbone, this striped blouse is designed with tiered ruffles to offer much of elegance and long sleeves with unique cuffs. 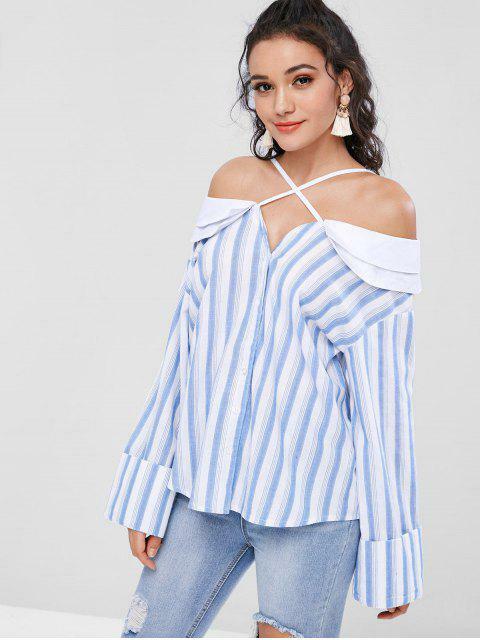 It is made of lightweight fabric in a casual silhouette, which can give cool comfort while wearing. 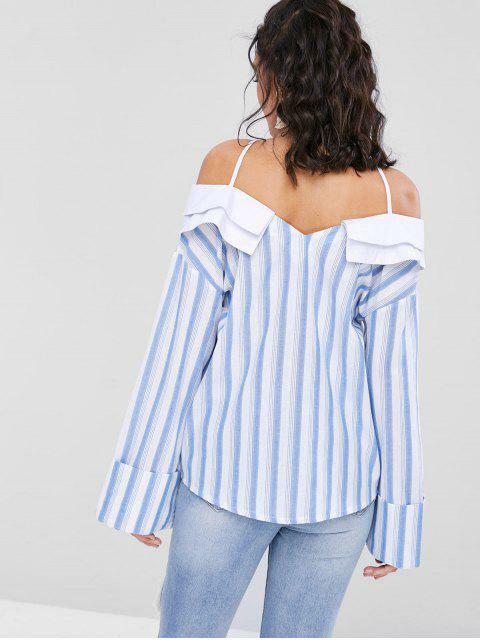 Sleek and flirty, hope you love our new blouse!